a visible mass of liquid droplets or frozen crystals made of water or various chemicals suspended in the atmosphere above the surface. They come in many shapes and forms. 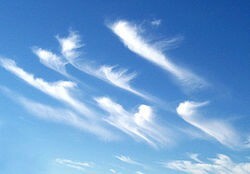 atmospheric clouds generally characterized by thin, wispy strands, giving them their name from the Latin word cirrus meaning a ringlet or curling lock of hair. a type of low-level cloud that can have noticeable vertical development and clearly defined edges. Cumulo- means "heap" in Latin. very tall, dense, and involved in thunderstorms and other inclement weather. 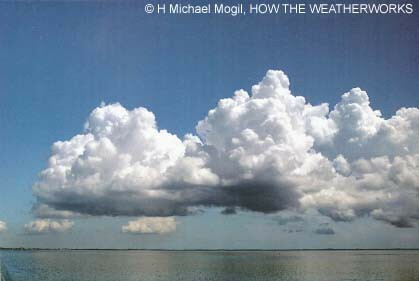 Cumulonimbus originates from Latin: Cumulus "heap" and nimbus "cloud". 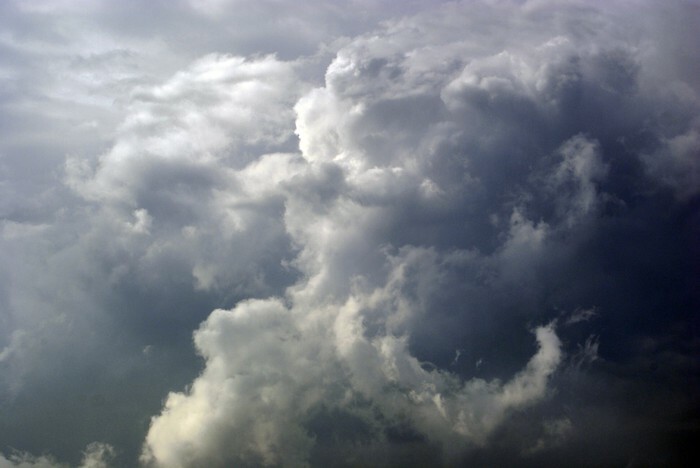 Use the following link to learn about clouds. Make sure you write down the details about each cloud type in your notebook for study. In your own words write a paragraph about how clouds are formed and how they move.